Sugarcane arrived in St Lucia in the 18th Century, and its molasses byproduct continued the growth of the Caribbean's thriving rum trade. By the 1950s, however, most Caribbean rum producing islands had slowed their pace, and St Lucia was no exception – only two producers remained, in Dennery & Roseau, and soon the two joined forces under the Barnard family banner of the St Lucia Distillers Group. 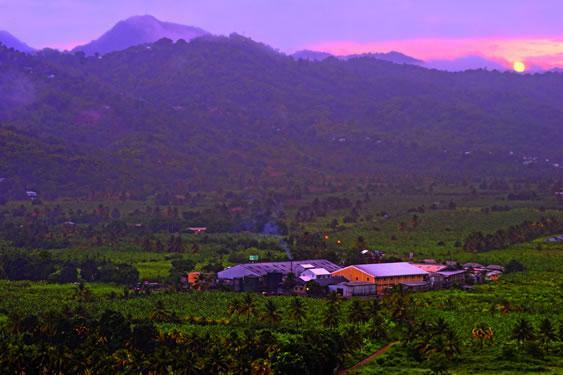 The operating distillery now remains in Roseau; featuring extensive environmental initiatives, Chairman's Reserve distills outstanding rums in a St Lucia style using molasses sourced primarily from Guyana, after a 24-30 hour closed fermentation period.